An increase in the Foreign Direct Investment (FDI) capping in insurance sector is inevitable if it has to grow, and this move will attract foreign investments about USD 1-1.5 billion (Rs. 6,000-9,000 crore) immediately, according to Former IRDA Chairman Mr. J Hari Narayan. 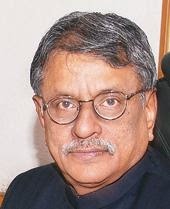 The Finance Ministry is considering raising FDI capping in insurance sector to 49 % from existing 26 % with some riders, such as restriction on voting rights.The reason behind a probable restriction of voting rights for foreign investors is to ensure that the control of the critical sector involving lifetime's savings of a large number of people does not pass into foreign hands. In an interview with CNBC-TV18, Mr. Narayan dismissed the concern that a foreign partner will get a gigantic controlling stake even at 49%. Former IRDA boss believes that insurance regulations are very strong in India, and it is very unlikely for adverse investments in insurance sector. According to Mr. Kshitij Jain, MD & CEO of Exide Life Insurance, many foreign investors are interested in Indian insurance industry which accredits strong fundamentals.